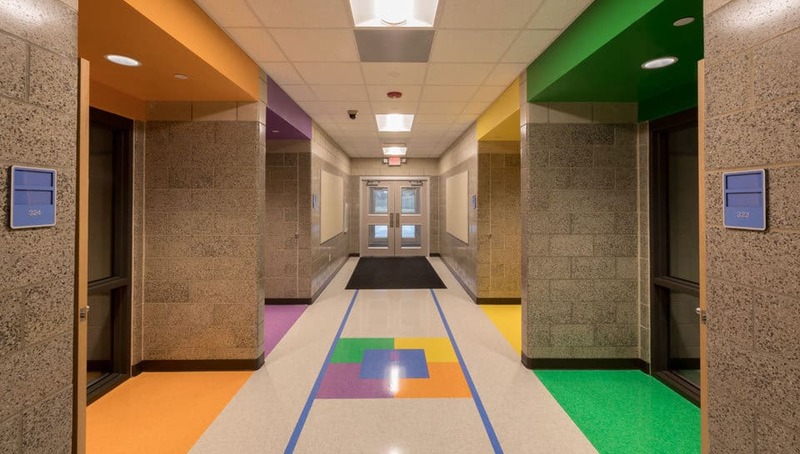 Cedar Ridge Elementary School - Columbia Public Schools - PWArchitects, Inc.
Students of Cedar Ridge Elementary School have a new home – one that has multiple sets of bathrooms, a cafeteria with commercial kitchen and playgrounds. 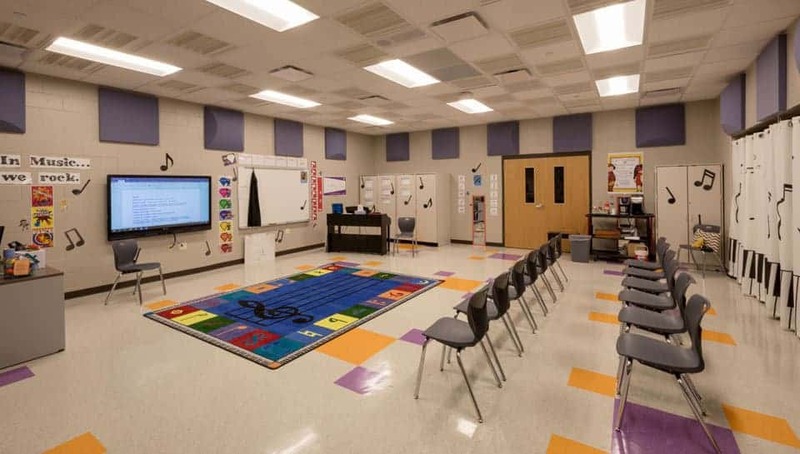 What it doesn’t require are mobile classroom trailers. 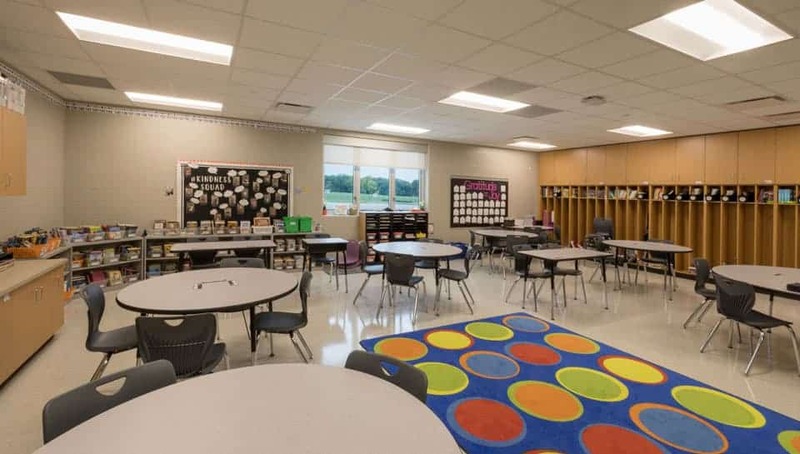 With more than five times the space of the previous Cedar Ridge Elementary School, the new school is just a mile and a half away. 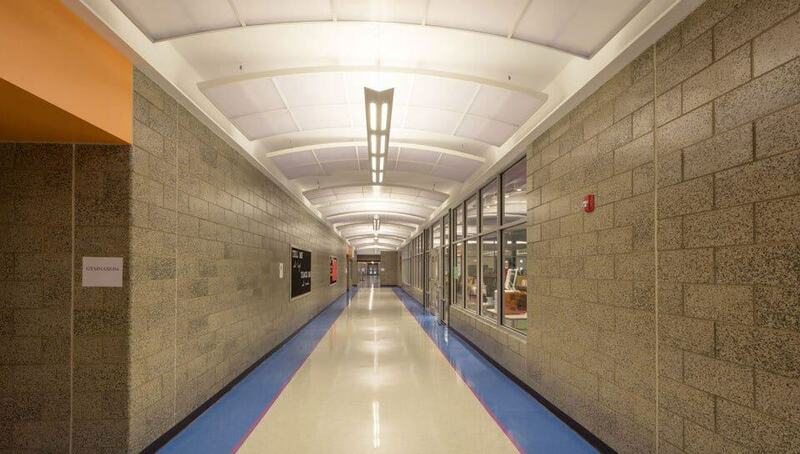 As part of a 2014 bond election, District voters approved the $22-million building as part of Columbia Public Schools’ 10-year plan to address growth and overcrowding. 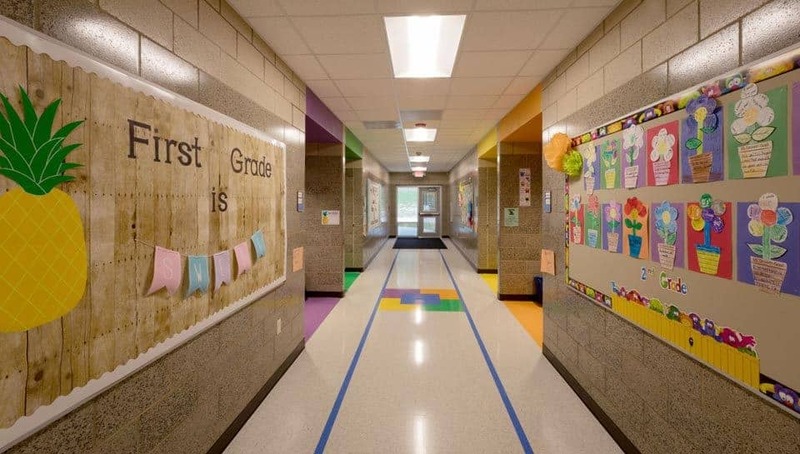 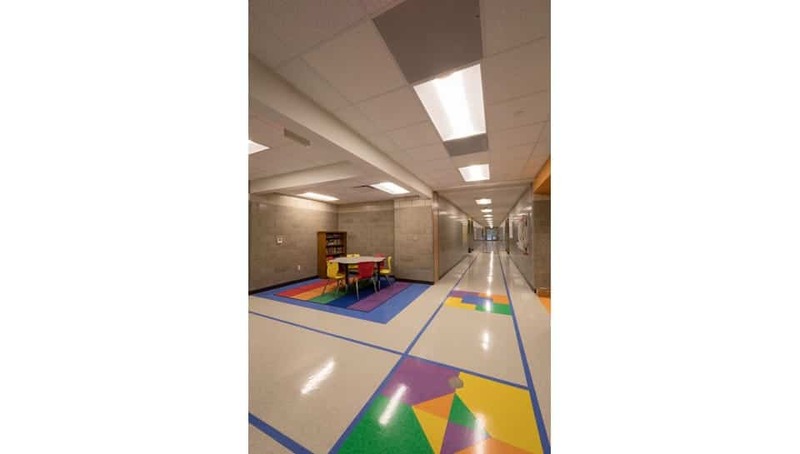 As lead architect for the project, PWA worked with the District and consultants to solidify the design, which mirrors the design of Eliot Battle and Beulah Ralph elementary schools. 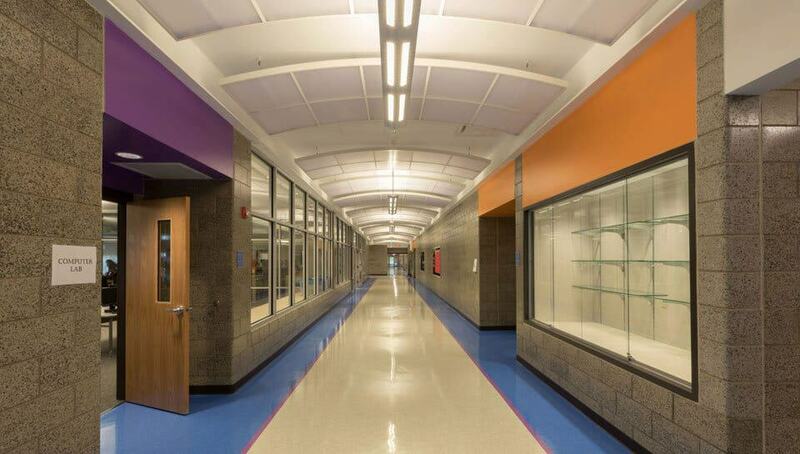 The new location has a capacity of 650 students but will start off with about 450 students in its first year. 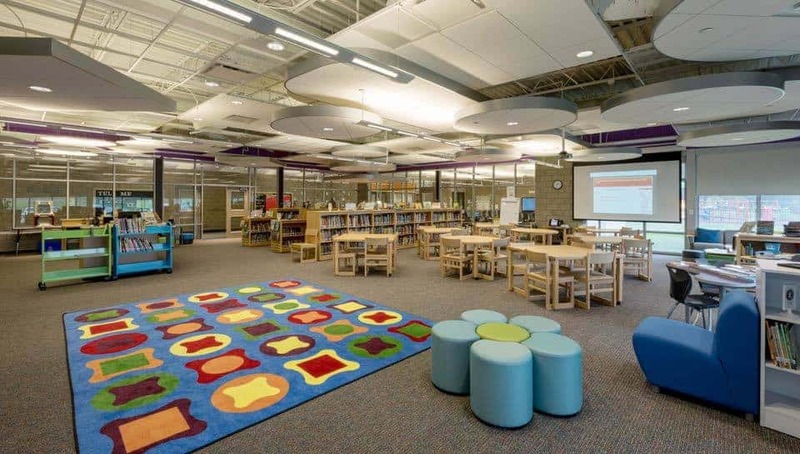 The existing Cedar Ridge elementary school had been at overcapacity for several years and utilized seven trailers for classrooms and multipurpose areas. 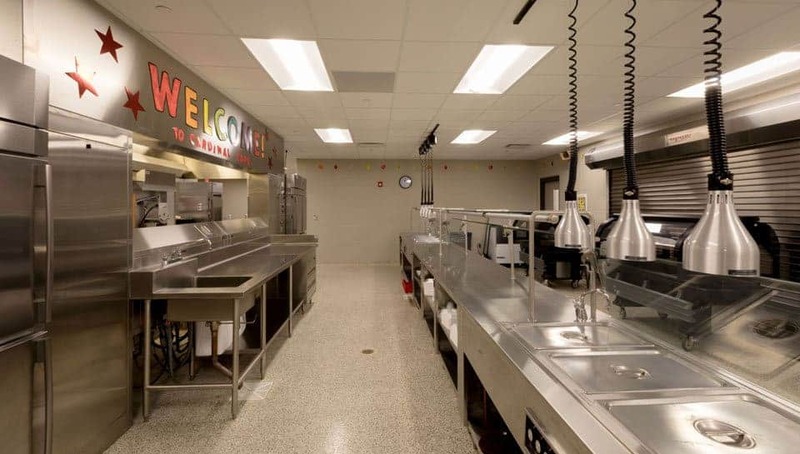 The 40-year-old building only had one set of bathrooms for students, and at any given time there were usually more students in trailers than in the school building, according to the school’s principal Angie Chandler. 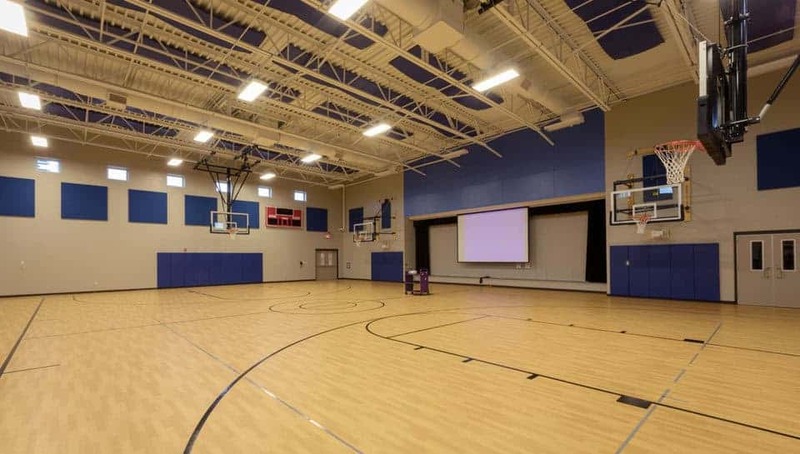 Along with more classrooms and improved facilities, the new school features a cafeteria with a commercial kitchen and seating separate from the gymnasium, a fenced-in playground with a soft surface just for kindergartners. 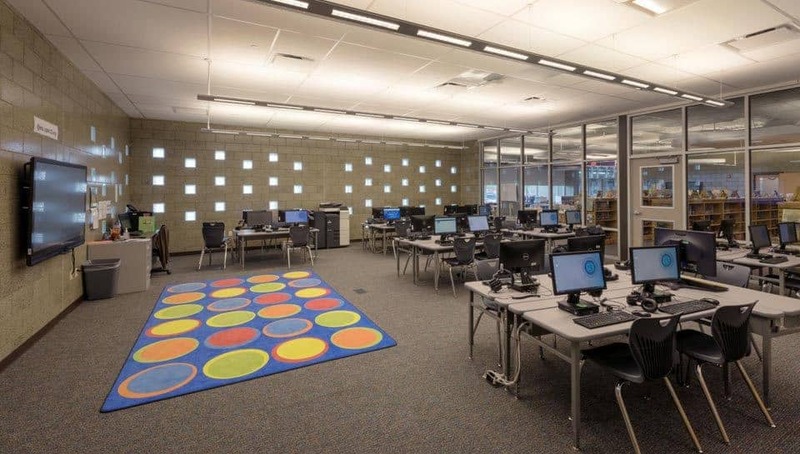 It also includes a makerspace room, a space that allows students to integrate art with technology through different creative materials. 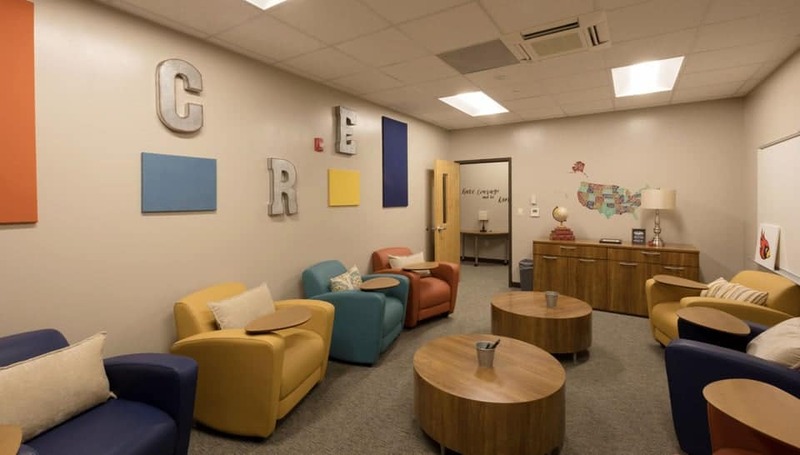 The school includes a teacher wellness room separate from the teacher’s lounge, which focuses on mindfulness and gives teachers and faculty a space to relax and de-stress. 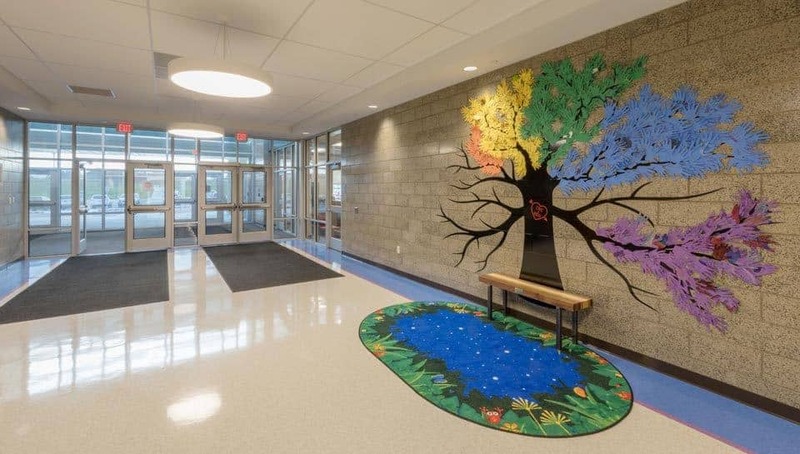 Construction on the school began in the summer of 2016 and was completed in July of 2018.